Smartphone industry is going ahead rapidly. Mobiles, smartphones and now phablets, all are giving a buzz to the Indian gadget market. These devices are on a boom with tremendous features. If you are also thinking to buy a smartphone then you may think about a tablet. And in this list you may consider a tablet which is launched by LG. The company has announced to launch this 8 inch tablet which will come with fabulous features. It is going to be launched in IFA 2013 Trade Show. It is a new device under the G series of LG. 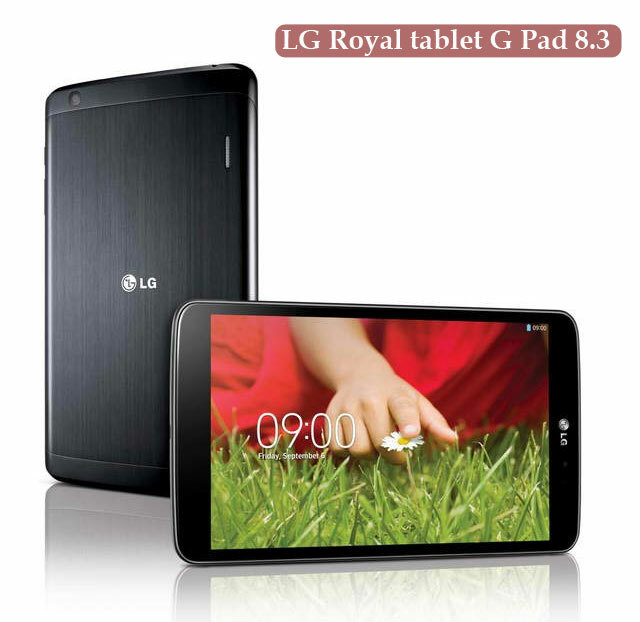 The company has named it LG G Pad 8.3 as it is the main and popular series of this Korean company. LG G Pad 8.3 is an easy to carry and handle device with 4600mAh battery so there is no need to charge it again and again and weight is just 338gm. LG has not declared its price yet but may be it will be announced in IFA 2013 Trade Show. LG G Pad 8.3 will be available in black and white colors.